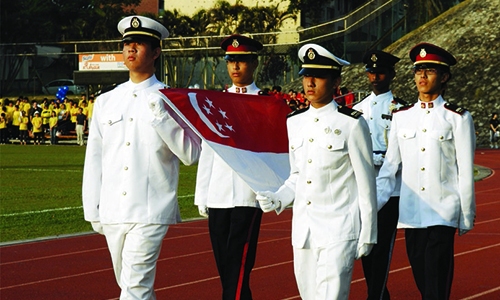 What event is commemorated on 31 Oct every year? A common response, including from Christians, would be “Halloween”. Some, perhaps a little more cognisant of the Church calendar, would reply “All Saints’ Eve”. If the response “Reformation Day” is given, it is usually added almost as an afterthought. 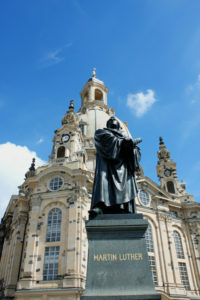 Although sparked by Luther’s action, the Reformation movement was not limited to the queries he raised nor bound by his geographical location, and went on to have a profound impact across numerous countries on the development of Christian denominations, improving accessibility of Bible texts to lay Christians through vernacular translations, and re-emphasising the primacy of Scripture in theology, doctrine, and practice. Can any modern Christian profess that such matters have no relevance to them spiritually? It is no surprise that for many of us, our day-to-day concerns eclipse questions such as “Which tradition or confession does my church hold to?”, “What basic beliefs are held by my church or denomination?” and “How were these beliefs decided on and articulated?” Yet, we miss out on a rich appreciation of how we as a Church have clarified our core beliefs, if we turn a blind or apathetic eye to such milestone events in Church history. This year’s 500th anniversary of the Protestant Reformation is therefore a timely occasion to delve into and reflect on this movement and its effects. Significantly, it is not only Lutherans or even Protestants who are commemorating this event – there are in fact joint commemoration events between Lutherans and Roman Catholics, which would have been unthinkable to their respective communities centuries ago. Pope Francis himself joined the President Bishop of the Lutheran World Federation (LWF), Dr Munib A. Younan, and LWF General Secretary, the Rev Dr Martin Junge, in leading a common prayer service on 31 Oct 2016 in Lund, Sweden (see P8 of this issue for a brief account). 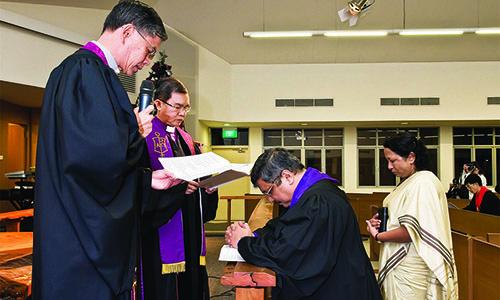 The Lutheran Church in Singapore and the Roman Catholic Diocese of Singapore are likewise holding a joint worship service on 30 Oct 2017 (see P23 for event information). It is the first commemoration to take place during the ecumenical age. Therefore, the common commemoration is an occasion to deepen communion between Catholics and Lutherans. It is the first commemoration in the age of globalisation. Therefore, the common commemoration must incorporate the experiences and perspectives of Christians from South and North, East and West. It is the first commemoration that must deal with the necessity of a new evangelisation in a time marked by both the proliferation of new religious movements and, at the same time, the growth of secularisation in many places. Therefore, the common commemoration has the opportunity and obligation to be a common witness of faith. It is clear, therefore, that our Christian walk would be severely impoverished should we engage in denialism of Church history (see P20-21 for the dangers of doing so), or neglect liturgical practices like the regular confession of our core Christian beliefs as painstakingly encapsulated in historic creeds (see P24 for more on the creeds). Although investment of effort may be needed to verify common Christian narratives or understand the meaning behind ecclesial traditions, it is often rewarded by insights to how God’s Word and Truth have endured throughout the ages, engendering awe and praise to His name. Revisiting past events in Church history can also have the effect of clarifying areas of agreement between denominations, enabling ecumenical efforts aimed at affirming the Body of Christ as “one, as [Christ and the Father] are one” (John 17:11). An example of this is the momentous Joint Declaration on the Doctrine of Justification, signed by representatives of the LWF and the Roman Catholic Church in Augsburg, Germany, on 31 Oct 1999, which was later affirmed by the World Methodist Council in 2006. Christianity, in other words, cannot be reduced to a narrow focus on one’s personal and private practices within one’s immediate context. Far beyond local churches, national churches, or even global Christian denominations, the Church and the Body of Christ encompasses also those who lived centuries before us, whose theology and practices have undeniable effects on the doctrines we hold today. Commemorations like the Reformation’s 500th anniversary are therefore prime opportunities to learn from Christians who have gone before, that we might be better equipped to forge new roads ahead, in unity of spirit and purpose under the Lordship of Christ. is the Editor of Methodist Message and a member of Kampong Kapor Methodist Church.